As I write this, I'm cruising at 38000 feet on an Airbus A380 to Munich. For a change, I'm flying as a passenger and will after stopping in the capital of Bavari, continue to Toulouse, France. I rarely blog about my day-job (no pun intended it involves a lot of night work!) as a pilot, however this time a little explaining might be relevant. This year is my 25th anniversary as a pilot in which over the years I have flown over 40 different types of flying machines. All the way from a 5kg paraglider to a 372 ton Airbus A340-500. The coming months, I'll be training to fly the largest passenger aircraft in the world; the Big Mama Airbus A380. 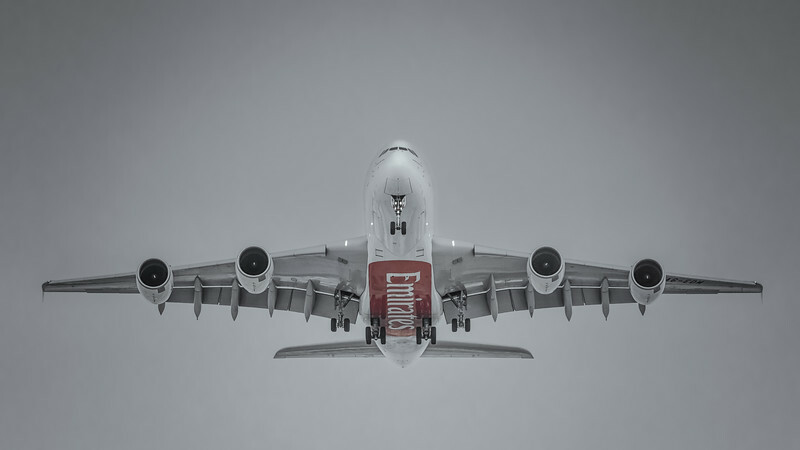 Part of this training is done over three weeks with the manufacturer in Toulouse (SW France), while the specific training as an A380 instructor/examiner, will be completed in Dubai. The whole process will likely take about three months and should be over, just before the end of the year. Because of this, my photography will probably suffer a bit. I plan on continuing my Pic(k) of the week series and might even be able to do one or two other blogposts in this period. The image above of the mighty A380 landing at Dubai was taken just before sunset. In order not to duplicate information some more facts on the A380 can be found in an earlier blogpost: 2012 Pic(k) of the week 28. Remember, "Flying is not Nintendo, you don't just push a button to start over"
Yesterday I was in Kolkota, the former Calcutta and the capital of the Indian state West Bengal. 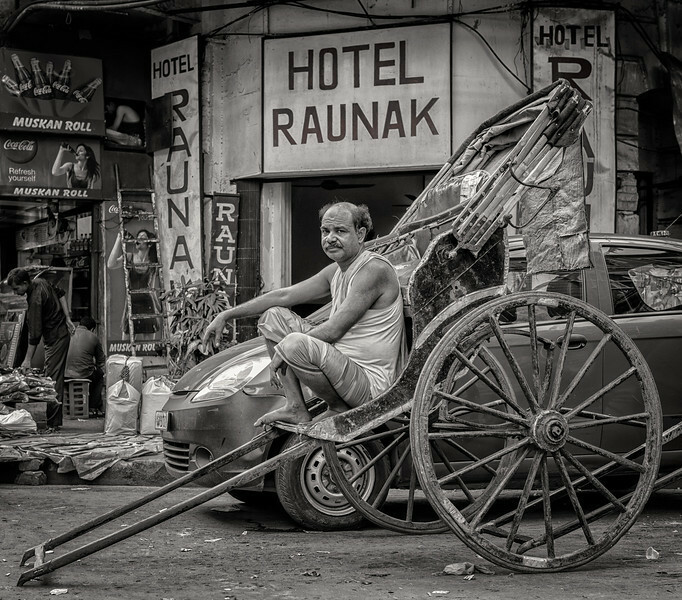 This city with more than 14 million people is apparently the only place where one can still find the "Pulled Rickshaw". 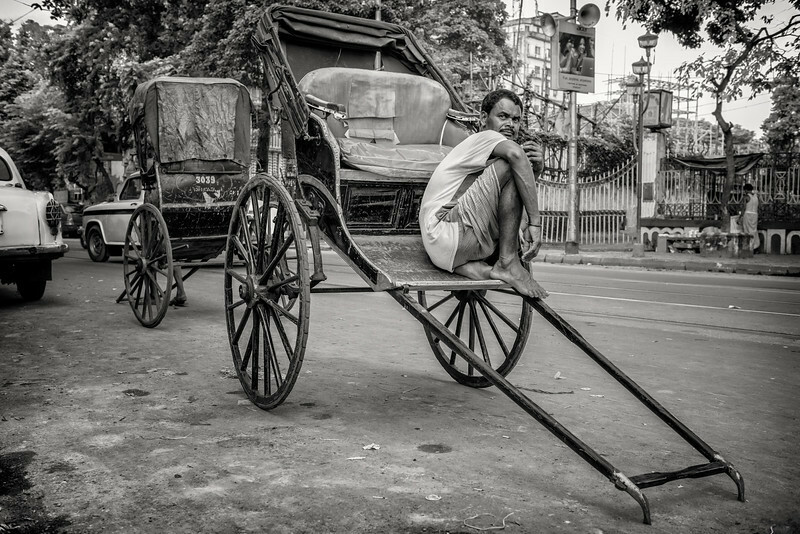 Even though the Indian government tried banning the use of these ancient hand-pulled rickshaws over 5 years ago, there are presently still over 20.000 pullers. 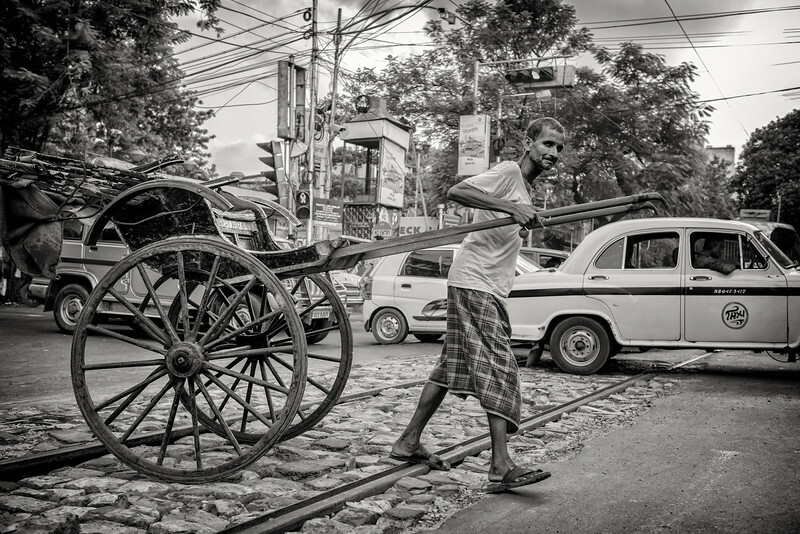 Often doing their work barefooted, they do not have their own rickshaws but rent them for a nominal fee of around 30 rupees ( 0,5 USD) per day. 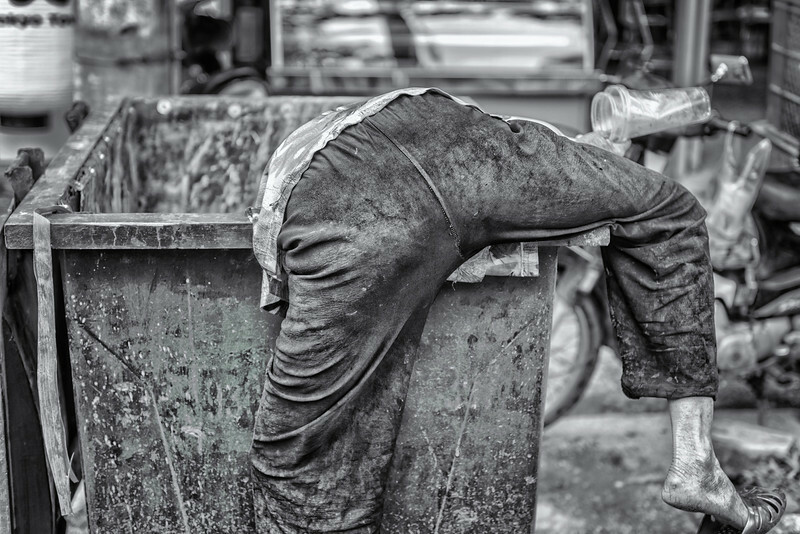 Earning only a few dollars a day, it is harsh work for over 12 hours a day. These brave men say that they are only happy to stop pulling 2 to 3 people around, if the government gives them alternative jobs. The defenders of this age old way of transport often point out that they keep the carbon footprint down. 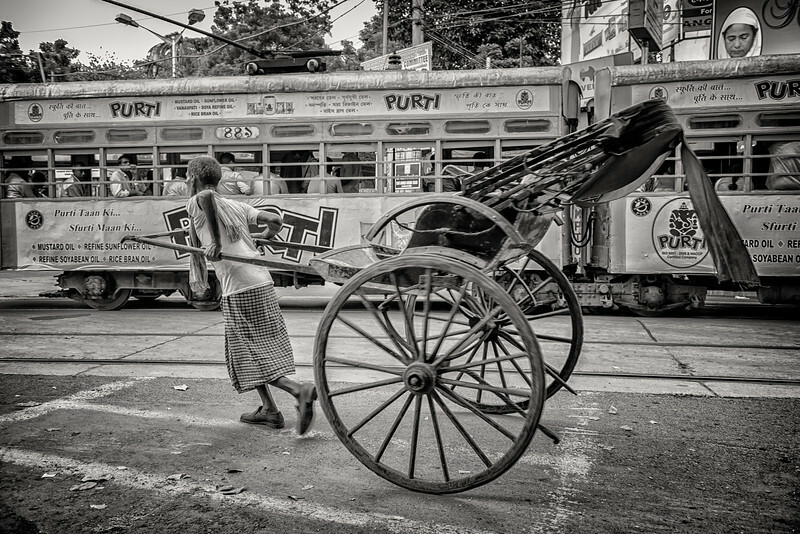 Another reason why the government has a hard time banning the pulled rickshaws, begins in June of each year, when the monsoon rains start flooding the streets of Calcutta. Often waist deep into the water, they are very much the only way of transport in some parts of the city. 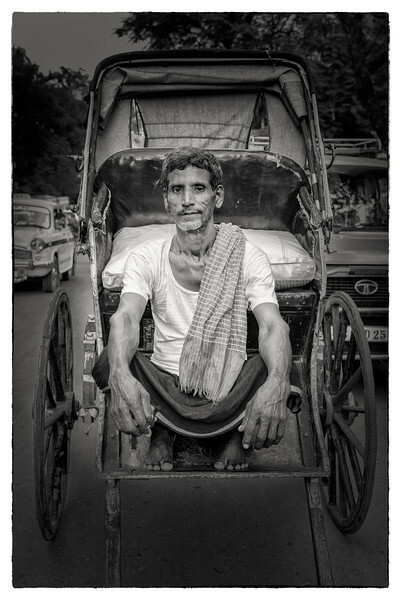 Most rickshaw pullers come from the adjacent state of Bihar and are almost all over 45 years old. While my taxi-driver was trying to make his way through the busy traffic, I saw somebody diving into a waste container. Without wanting to be disrespectful, I felt this was a shot not to be missed! In Vietnam and a lot of other countries, many people try to make a living by collecting used plastic bottles and other materials that can be recycled. It is at times like this, that I feel how fortunate some of us are... Respect! Please make sure that you check out more of the images in my " Ho Chi Minh" gallery. Time to pack again and spent 24hrs in Kolkata, India! Just over a year ago a brand-new social networking site was born; initially started by invitation only, "Google plus" (G+) now has 250 million registered users of which about 150 million are deemed "active". Because of the way it deals with images, it is the perfect "photographers social network" and is now by far my preferred place to hang out with other photographers. Unlike Facebook where one connects mostly with people one already knows, G+ makes connecting with unknown photographers from all over the world very easy! It also is a great way of staying inspired, especially by using the free iPad app. To stimulate photography even more, some active members have started themed days like Moon Monday, Tree Tuesday, Travel Thursday, etc... The most common themes can be found here. In order to make searching for themed images easier, one tags the images the Twitter way; Tree Tuesday is tagged with #TreeTuesday. Still working on my images from the recent trip to Iceland, this a perfect opportunity to enter one for the #WaterfallWednesday theme. 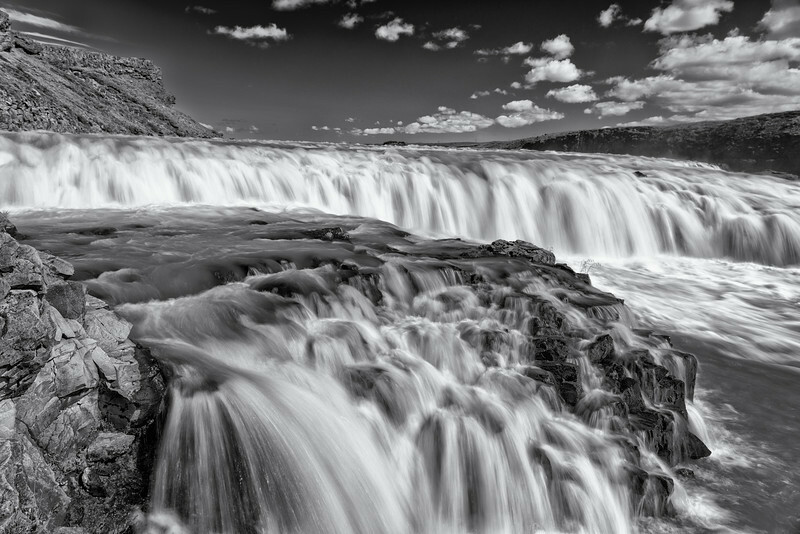 The image above was shot at the mighty Gullfoss waterfall about 90mins East of the capital Reykjavik. Even though the initial batch of images were all color ones, I've now started converting a small batch as Black & Whites. A 9 mins slideshow of my best Land of Fire and Ice adventure, can be found below. For the best viewing experience, make sure you select 1080p in the bottom right corner and that you watch it full screen. Early August I had one of my aviation firsts; " my first hot air balloon ride"! Yes it took 25 years of flying as a pilot before eventually experiencing the wonders of ballooning. There is obviously very little way of changing the course of the balloon, but it sure is a heck of an aerial photography platform. Yes, I had a blast! When shooting aerial photography, I'm foremost interested in registering the "patterns" of the world below! 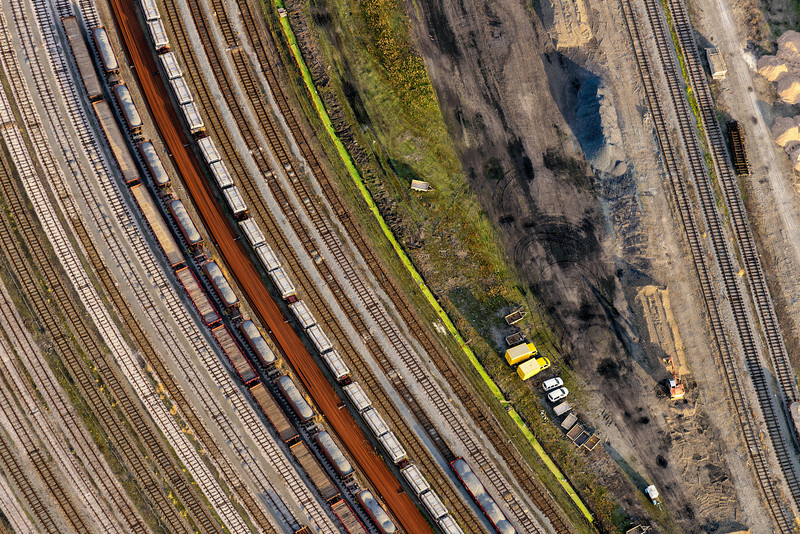 The image above of multiple cargo train tracks, was shot near Ghent, Belgium. Still on the subject of aerial photography, I was interviewed by the HumanTheme blog with regards to my very popular image of the "Ditched C-46" in the Bahamas".